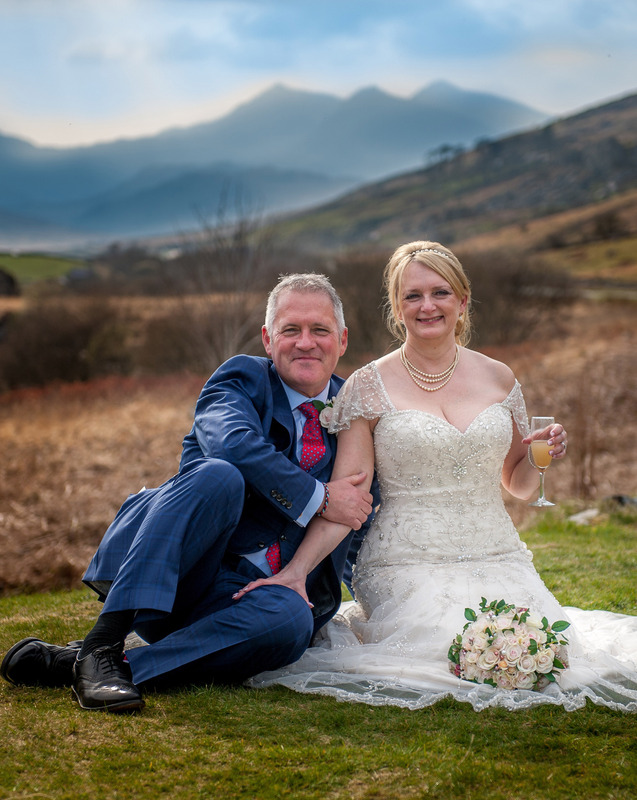 Yorkshire couple Pam and Mark Mullins have spoken about their “perfect” wedding and caravan honeymoon spent at our park in the picturesque Snowdonia National Park village of Betws-y-Coed in North Wales. The couple from Knaresborough chose to get married in Betws-y-coed because they have been bringing their touring caravan to stay at our five star Riverside Touring Park in the heart of the village for eight years and love the area. Following their wedding ceremony and reception for 31 close family members at the Royal Oak Hotel in the village, Pam and Mark opted to spend a week in their caravan complete with wedding flowers, Bollinger champagne and barbeques in the fantastic Easter sunshine. “It was an absolutely fantastic wedding and honeymoon,” said Pam. “The weather was out of this world for the time of year. Everything exceeded our expectations and I wouldn’t change a thing if we did it all again. “We know how changeable the weather can be at Betws, so we had planned our wedding for a nice day but had also prepared for rain. In the event, we enjoyed a picnic in the mountains near Capel Curig and transported the guests in a vintage bus. 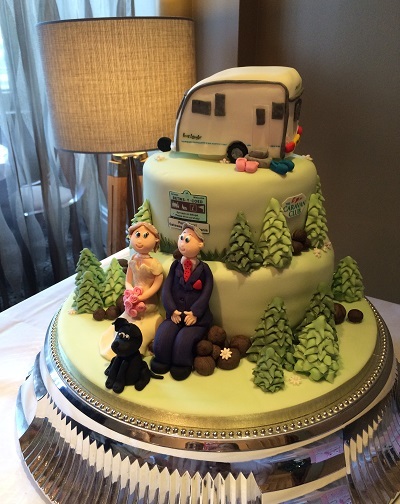 “When we spent our honeymoon in the caravan, Mark insisted on carrying me over the threshold into the awning and we took a piece of wedding cake for the park managers who were so accommodating. Pam explained that she and Mark first started dating at school 40 years ago but they broke up when Mark stood her up to go to a Rotherham United football match. The couple, who have six children between them from their first marriages, met up again through the Friends Reunited internet site in 2008 and love blossomed.